A little bit of feedback can go a long way, and trying out ideas on paper is often far better than trying them out for real. 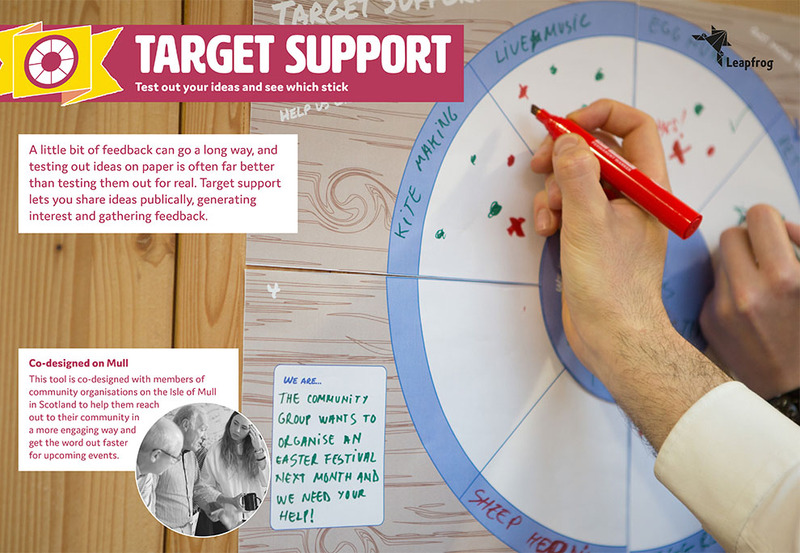 Target support lets you share ideas publically, generating interest and gathering feedback. Print out and put up the target template in a public place. Write a short description of what you want to do in the middle of the target. Write ideas for how you can achieve your goal around the target perimeter. People can mark or write on the target to show which idea they think is best. Or leave some of the perimeter blank so people can add there own ideas!